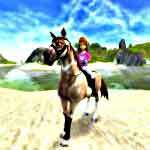 Tags: Fun, Horse breeding, Horse competitions, Horse farm, Internet, Kids, Take care of horses, Train horse. 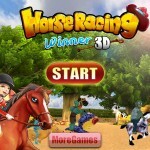 This game is noted as the best Facebook horse ranch game. 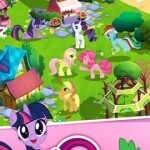 It is a really cute game, especially for younger horse fans. 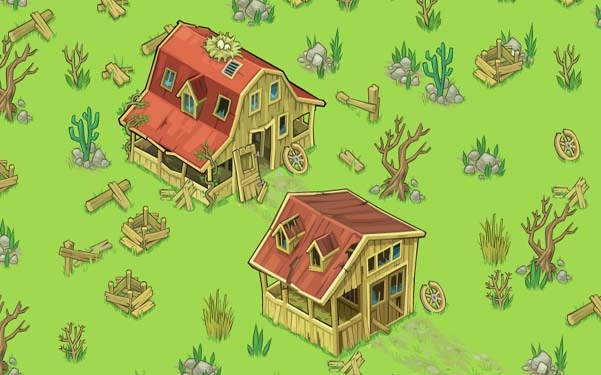 The object of the game is to build up a ranch that you just inherited from your uncle. The ranch is basically in ruins. You have to start from scratch to make it a working ranch. The instructions for the game are good, and there is a tutorial that lets you learn what you need to in order to get started. You get to pick out and care for a new horse until it is old enough to work or go in a competition. 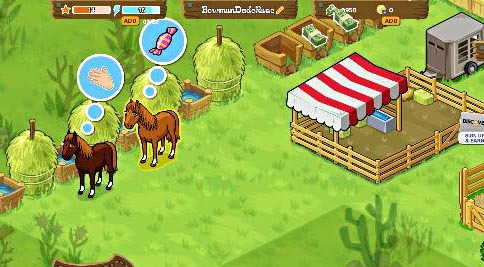 Your horse can go to a petting zoo or enter in some riding or trotting competitions which lets you earn some money. 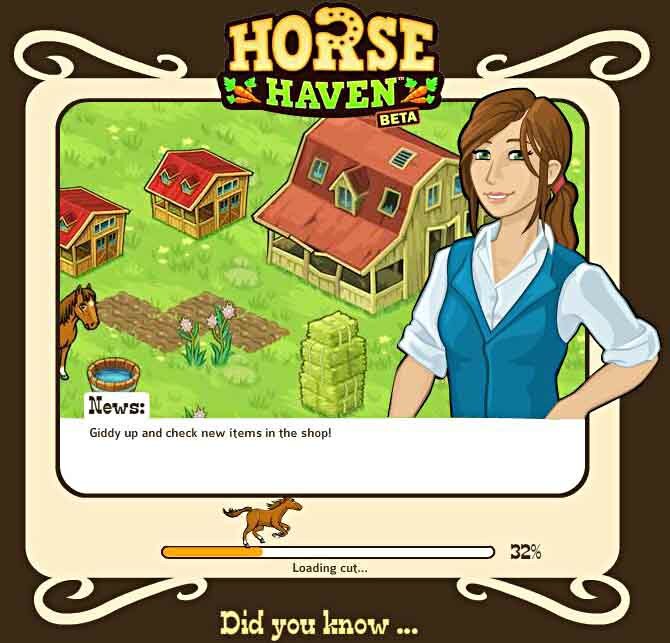 You can also earn money from quests or cleaning up after your horse. It takes a lot of work to get enough money to upgrade the ranch, so this is a bit of a challenge. The animation in this game is pretty detailed while the music tends to get a bit annoying like most game music. You can just turn it off if it gets to be too much. I liked that I could pick out and raise my horse and had fun building up the ranch. I had a hard time making money and actually accomplishing much without it. 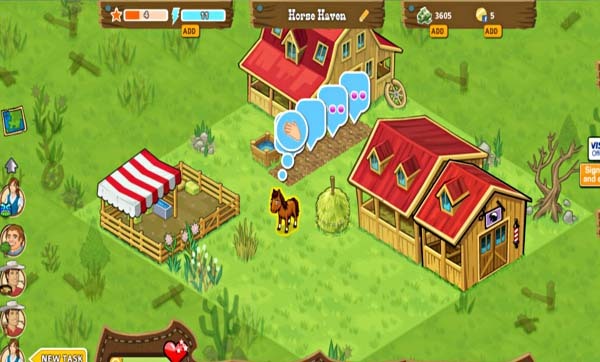 This is a good game for people who like to combine farm type games with a little horse care and some fun graphics.